This last Saturday, HaveFunBiking.com covered one of the coolest races we have seen in a long time. 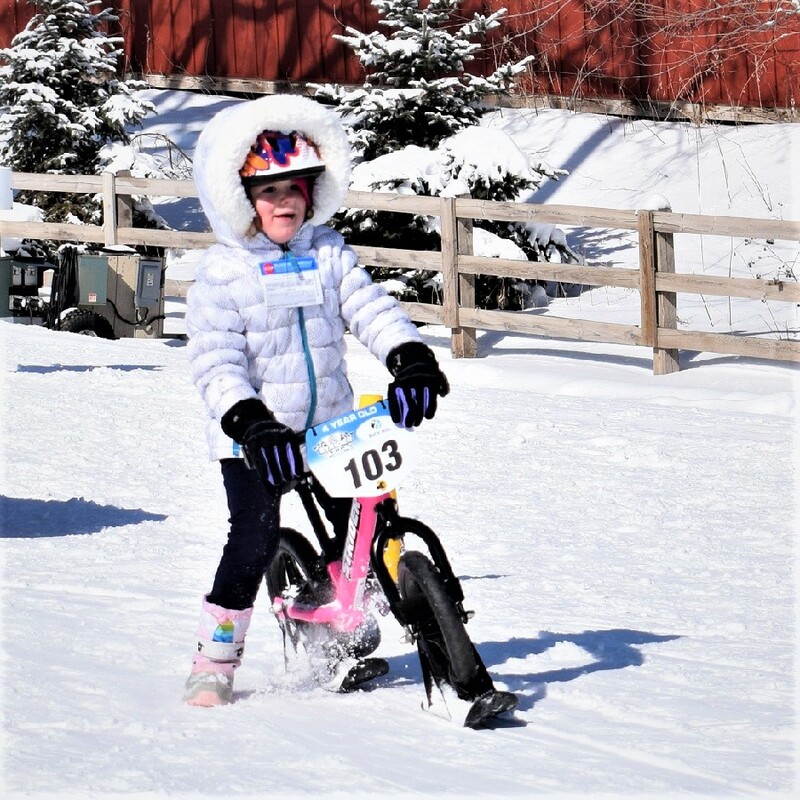 Putting more kids on bikes the Strider Snow Cup, was a great way to see our future cyclists in action. 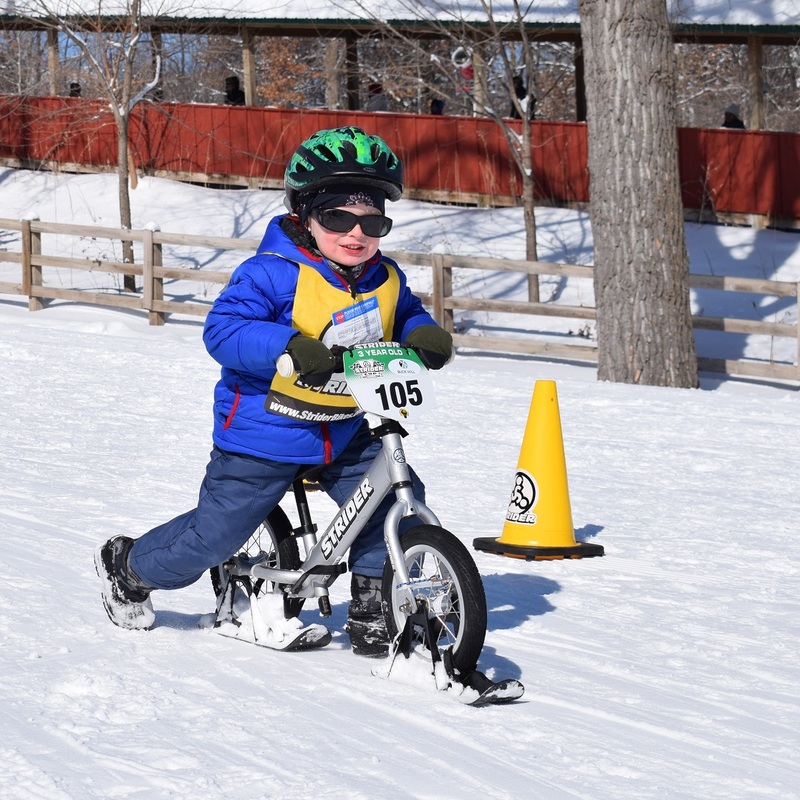 With skis attached to the bike wheels, there were a lot of winners on the hill for this family-friendly event. One of the coolest races that puts more kids on bikes. 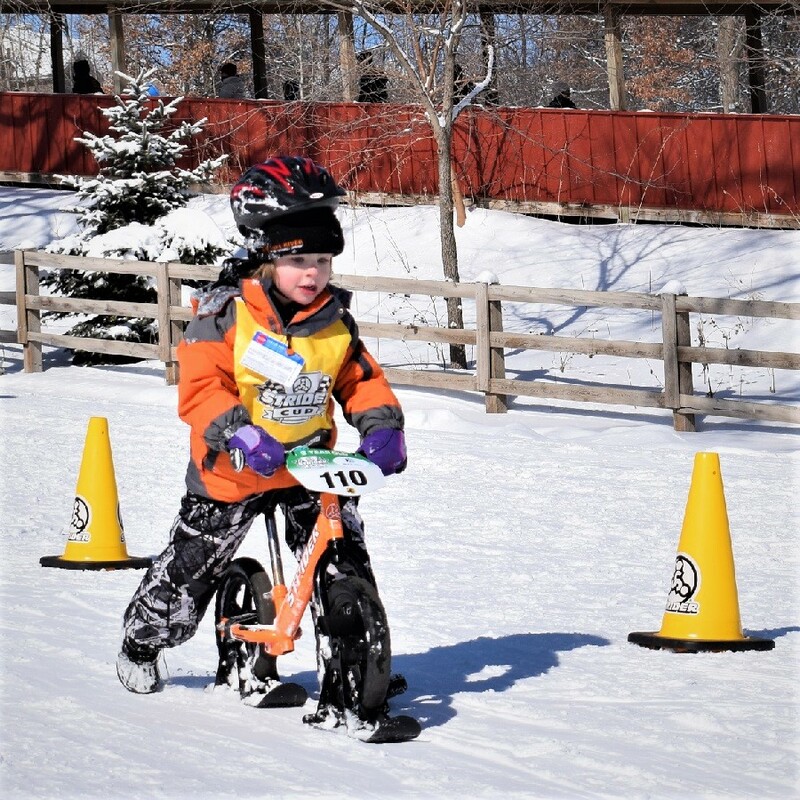 The Strider Snow Cup, with skis attached to the bike wheels, produces a lot of winners. 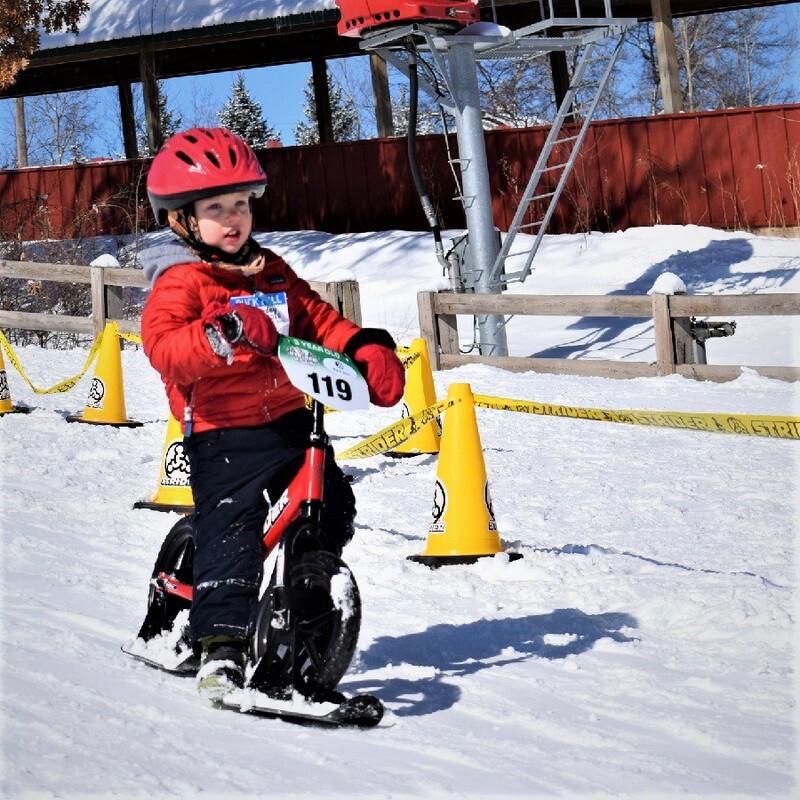 Teaching kids to ride on two-wheels, Strider held the 2019 Strider Snow Cup, on Buck Hill in Burnsville, MN. 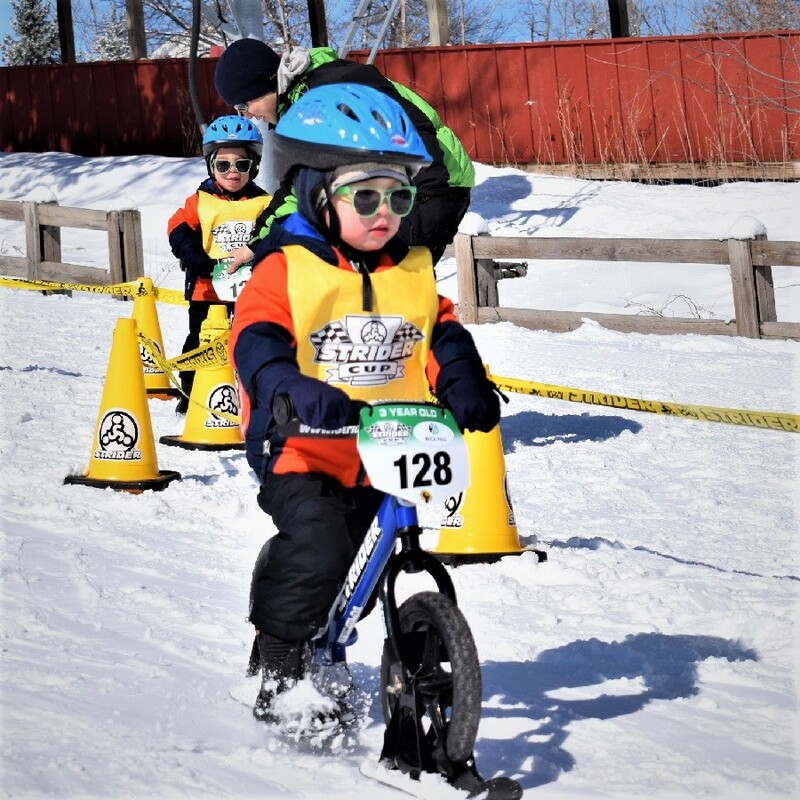 Youngsters, ages two to five, took to the bunny hill slopes on their Strider 12 Bikes, outfitted with snow ski accessories. It was a perfect, fun-filled, true north, weather day for the kids. Dubbed as the “Toddler Tour de France” by The Wall Street Journal and ESPN. Wave after wave of toddlers made their way down the course. The Strider Snow Cup is an extension of the family-friendly events held in the summer months. 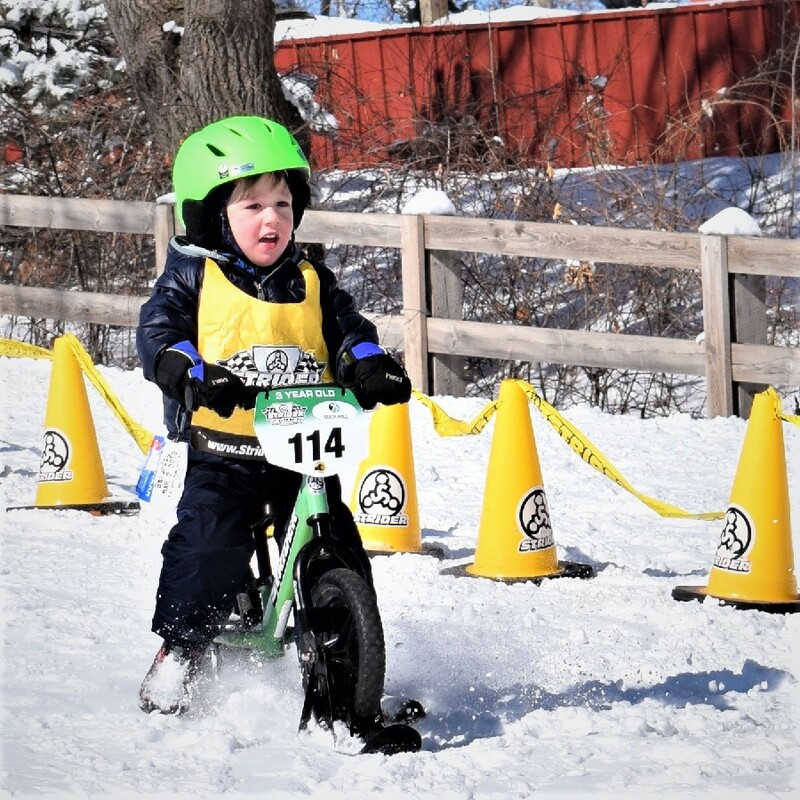 This March 2nd event allowed young, two-wheeling tots a much different climate to ride in. This was the first Strider Snow Cup Race in the U.S.A., since 2013. Using the Strider Snow Ski accessory, a Strider 12 Balance Bike can be converted for use in the snow. This makes riding year-round in any climate a reality. No qualification is necessary to participate in a Strider Cup or Strider Cup World Championship event. 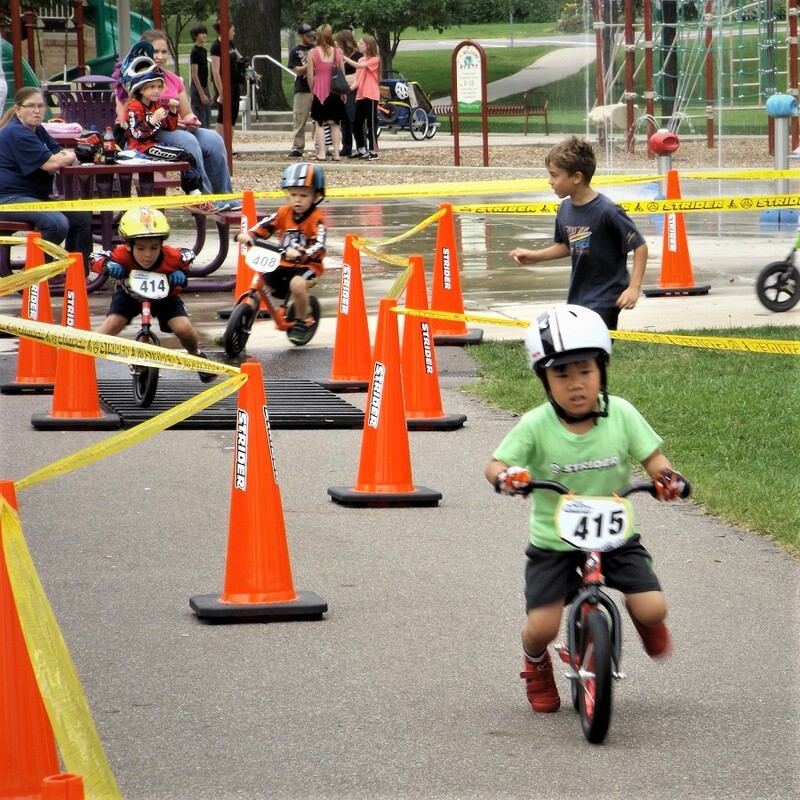 Registration for the May – October 2019 races is available at www.StriderBikes.com. 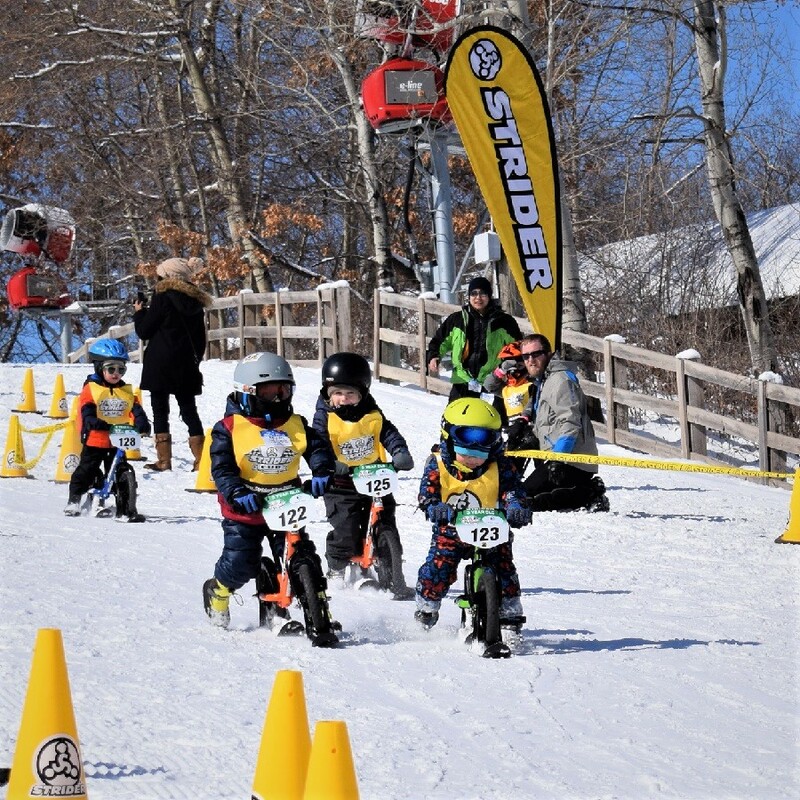 The 2019 Strider Snow Cup event was held right off the “Magic Carpet” section of Buck Hill Ski Area. It’s a downhill slalom race; some running and striding on the balanced bike involved. 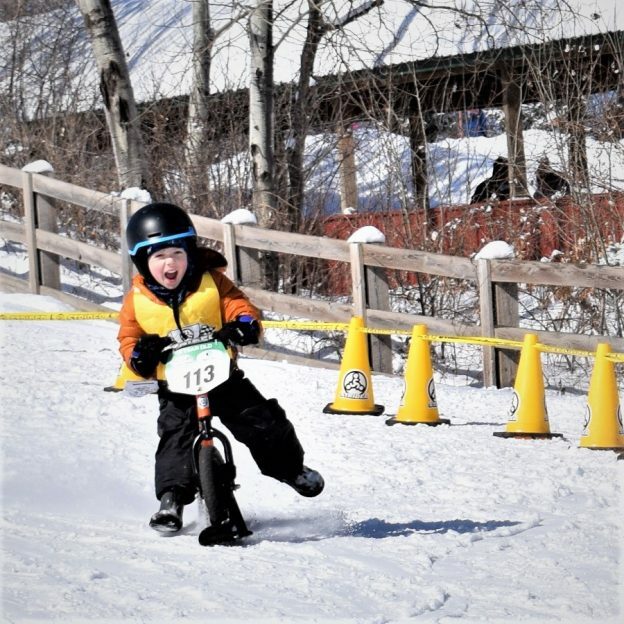 This entry was posted in News and tagged balance bike, Buck Hill Ski Area, Burnsville MN, Strider 12 Balance Bike, Strider Cup World Championship, Strider Snow cup, Toddler Tour de France, training wheels vs. balance bike, two-wheeling tots on March 4, 2019 by Russ Lowthian.